"Dunba NanoFuel-saving & Maintaining Fluid for Large Vehicle" is a fuel-savingenvironmental friendly product, made up of nano-alloy,polymermonomer and multifunctional additives, producedby technical equipment with our own intellectual property rights (Patent No.ZL200810032849.1) and new scientific and technological achievement. Corrosionprevention:preventfriction parts from corrosive pitting. Environmentally friendly:improveengine oil burning, blue smoke and other conditions, reduce exhaust particlesby 20%-30% and smoke emissions by 50%. Safe—be suitablefor long-term use of various small vehicles, without any adverse effects orside effects. Threein one: fuel saving, self-repair andmaintaining simultaneously. 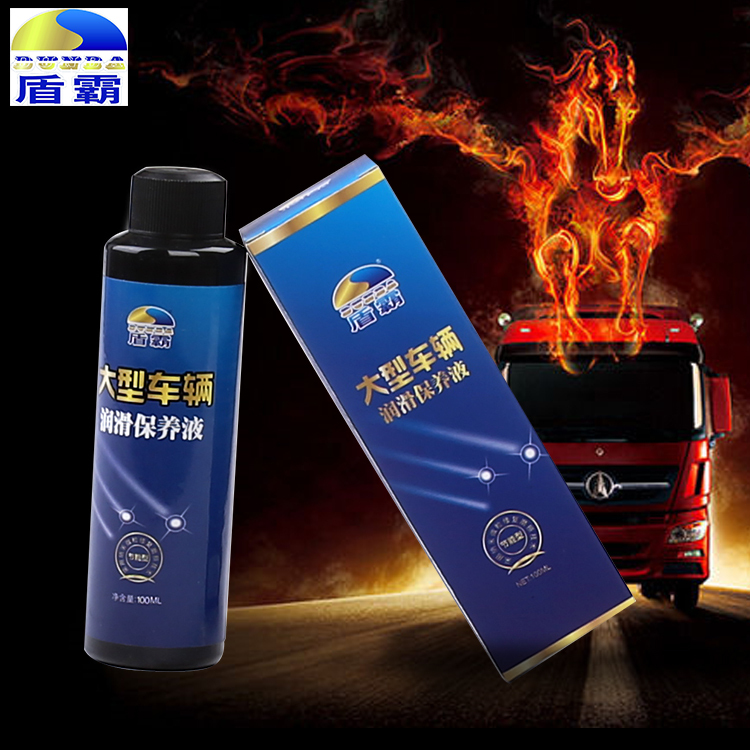 This product can be easilyand stably dispersed in all kinds of lubricants, suitable for variouslubricating systems, such as engines and transmission tanks etc. of variouspassenger cars, trucks and construction vehicles. After engine oil change, add the product to engine oil tank, keep theengine idling for around two minutes; or mix the product with engine oil evenlyin advance, then add mixed product to engine oil tank. Normal usage about 1% of thetotal lubricating oil, in other words, for large vehicle, please mix 20 liters 21.2quarts of lubricating oil with one bottle (7.06oz or 200 grams). This product can also be added into gearbox, mixed with gear oil at 1% ratio. 1) If because of piston ring breaking,engine oil leakage due to valve oil seal becoming old, and other reasons whichresult to serious engine oil burning, blue smoke discharge and other faultphenomenon, then these are not included in repairing scope of this product. Wesuggest customers repairing your vehicles, after that use this product. 2) If you haven’t been cleaning theinside of engine for long time, you should clean it before using this product. 6) Keep innormal temperature and avoid sunlight.